Musicians like Blink-182, Morrissey and Tupac Shakur have all previously been immortalized as Funko Pops. Now if you combine all three acts, what do you get? That's right — Post Malone. As such, it only makes sense that he'd get a Funko of his own. The raspy pop rapper will soon get the vinyl toy treatment courtesy of the folks at Funko, as was revealed at Toy Fair New York and confirmed on the Funko website. The mock-up of the Post Funko is available above. While the final design may change, we're excited to see this chilled out dude and his red cup by the till at our local videogame shop. 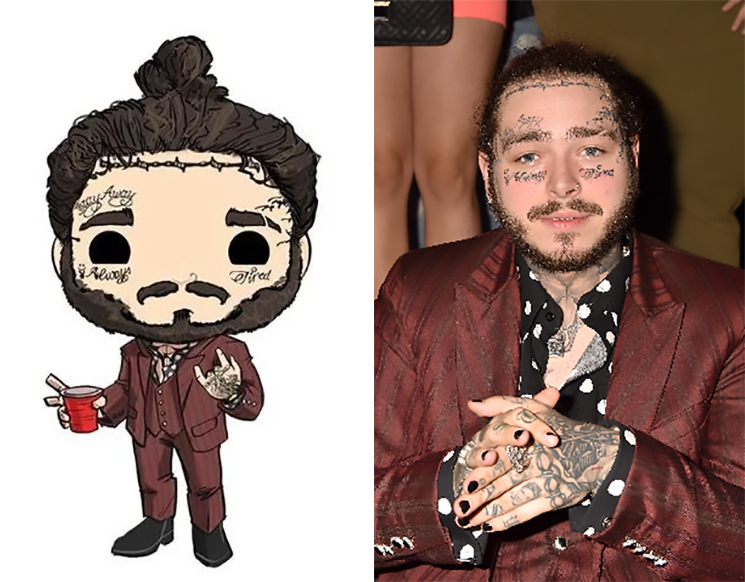 The Post Malone Funko is expected to drop in July.